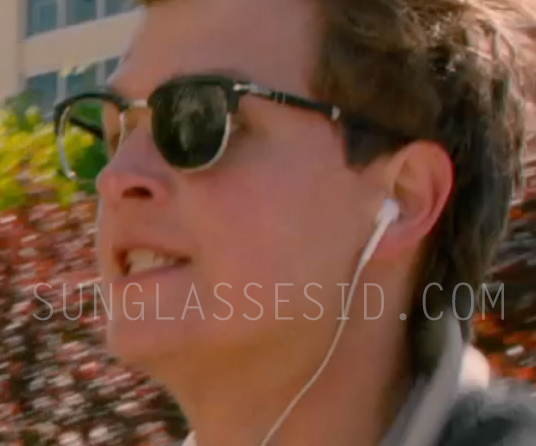 Ansel Elgort wearing Persol PO3132S sunglasses in Baby Driver. Ansel Elgort wears Persol PO3132S sunglasses in the critically acclaimed action film Baby Driver (2017). 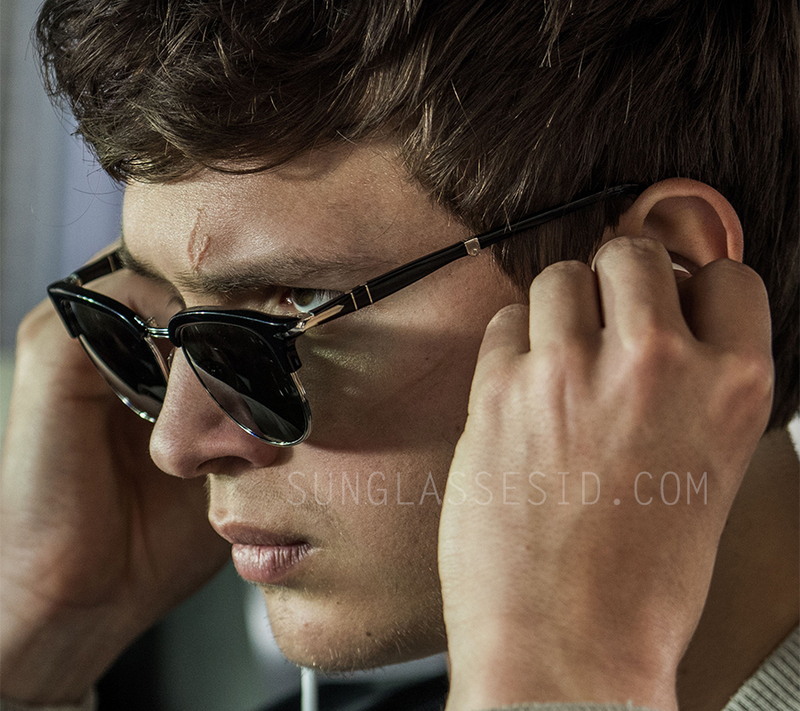 In the film, Ansel Elgort wears the Persol sunglasses with a black frame and either the polarized Photo-Polar blue lenses with internal anti-glare treatment (color code 95/4N) or with more regular grey/green lenses (color code 95/31). The Persol PO3132S folding sunglasses are from Persol's Cellor collection and are cureently still available in black at FramesDirect and John Lewis (UK). You can also try eBay, or Amazon and SmartBuyGlasses (black currently sold out) for different color combinations. Ansel Elgort plays the protagonist of the film, a getaway driver, who does one last job for Kevin Spacey's character to get out of crime and settle with his girlfriend (played by Lily James). In the same film, Ansel also wears a pair of black Wayfarer style sunglasses, blue and red "American Flag" Wayfarer style sunglasses and ic! berlin sunglasses. Other main characters that wear eyeglasses and sunglasses are Kevin Spacey and Jamie Foxx.